Gillette NJ Lawyers- Personal Injury, Criminal & Employment Law - Aiello, Harris, Marth, Tunnero & Schiffman, P.C. Aiello, Harris, Marth, Tunnero & Schiffman, P.C. is not your average law firm. We’ve been in business since 1955. We employ more than sixteen attorneys, many of whom were former prosecutors. We have received top reviews from clients and our peers. We’ve received numerous media mentions in high-profile publications. We’re dedicated to seeing results. 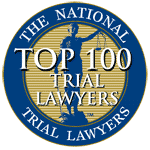 Our firm works hard not only to obtain maximum compensation in personal injury, workers’ compensation, and employment law cases, we work to defend those accused of crimes and help keep families reach workable plans in divorce proceedings. We care about our clients and we care about achieving favorable outcomes—no matter what it takes. Personal Injury. Not all injuries are the result of pure accident. 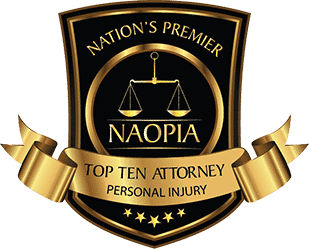 If you’ve suffered an injury or are in ongoing pain, our New Jersey personal injury attorneys can represent you in order to help mitigate medical bills, lost income, emotional suffering, and more. Auto Accidents. Auto accidents can be a maze of regulations and complications. We can help you navigate and ensure that you’re being treated fairly and getting the compensation you deserve. Motorcycle Accidents. With motorcycle accidents being so high-risk, representation is a must in order to protect your well-being and financial safety. Premises Liability. Negligence of property can lead to injury. You shouldn’t have to suffer for an injury that isn’t your fault, but you will need to call a Gillette premises liability lawyer to get proper justice. Workers’ Compensation. Jobsite injuries require trustworthy lawyers who can help sort through the complicated conflict that can arise from job site liability. Criminal Defense. Our resume of reduced or dropped charges is incredible. Our New Jersey criminal justice lawyers represent defendants charged with 1st to 4th-degree indictable crimes, disorderly and petty disorderly offenses, juvenile offenses, and violations of municipal ordinances. Traffic. We can help you contest and sort through traffic violations which, if left unchallenged, could result in the loss of your driver’s license – and all the freedom that comes with it. Expungement. Criminal records can seem like an anchor around your neck in regards to finding work, but that is not a necessity. Our expert lawyers understand expungement cases very well. DWI/DUI. 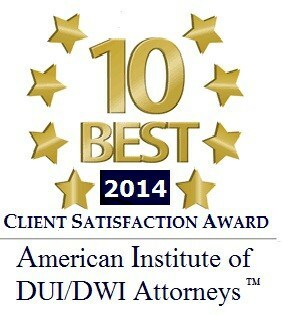 A Gillette attorney who is aggressive with DWI/DUI case can help you avoid unfair charges and more. Don’t endure unnecessary and severe DUI punishments without due cause. Drug Crimes. 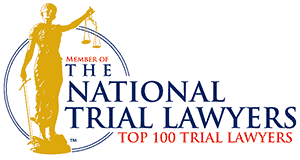 When it comes to favorable verdicts and plea bargains for drug-related crimes, our lawyers are the best around. Let our Gillette attorneys help you. Employment Law. Discrimination in the workplace is unacceptable. You deserve representation, and we can do just that. Whether you are negotiating severance packages, unlawful firing, or another employment issue, we can help. Harassment. If there is one thing clearer than ever these days, it’s that good people are tired of dealing with unfair harassment. Don’t let sexual harassment, financial harassment, or political harassment go unchallenged any longer. Wrongful termination. If you feel you have been fired for an unjust reason, we may be able to help. Divorce. With particular specialization in high-asset divorce cases, we have had major court victories in divorce cases of all types. Family Law. Child support, custody, LGBT, and issues of domestic violence all need to be handled with professionality and strong representation. Call us today to see how we can help. Tax Law. The IRS is an imperfect organization, and mistakes on their part can cost you a fortune. Don’t lose money for mistakes that aren’t your fault. Get one of our Gillette lawyers on your team today. Immigration. Immigration can be an especially stressful and fear-inducing issue, especially given recent stories in the news. Don’t be afraid any longer. Get a lawyer who can protect you from unlawful immigration practices. Bankruptcy. Bankruptcy is high-tension in the best of times, but it can be a lot easier when you have lawyers who know Chapter 7, 11, and 13 proceedings. A small town of just over 3000 citizens, Gillette is just within reach of the boroughs of NYC. A commuter train runs directly to Manhattan for those who work or enjoy visiting the city. Technically an unincorporated community, Gillette is a part of the larger Long Hill Township. The Long Hill Township courthouse is located in Gillette and can be found at 915 Valley Road, holding session every other Thursday at 7 p.m. The nearest hospitals are located in nearby Watchung, NJ. If you should have need of reaching the police (in a non-emergency situation,) the police office of the Long Hill Township police can be reached at 1-908-647-1800. 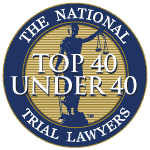 At Aiello, Harris, Marth, Tunnero & Schiffman, P.C., we have a combined 250 years of experience, and we can utilize our skills and expertise to help you with your case. You can find justice. For a complimentary consultation, please call us at (908) 561-5577 or contact us online. We have weekend appointments available, and our legal team sees patients away from the office if they are immobile. You can also stop by our nearby office in Watchung NJ.